Price Reduced! Offering a rare blend of city living with the waterfront way of life, this West of the Trail residence graces a beautiful locale in the heart of Sarasota. 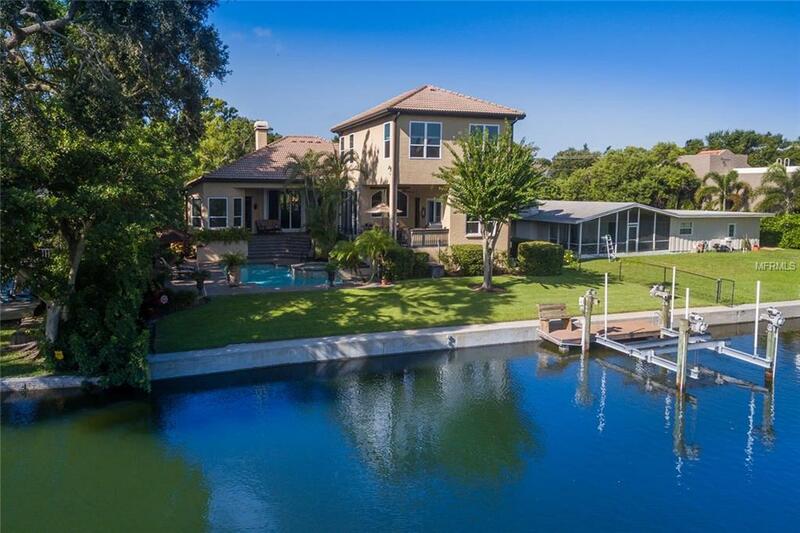 Nestled in a private neighborhood overlooking Hudson Bayou, the four-bedroom home fuses exceptional craftsmanship with a tropical waterfront setting. Step inside where the dramatic volume of space is emphasized by wide plank mahogany floors, natural gas fireplace, and impact windows and doors that open to the verdant pool terrace. The gracious floorplan lends itself to grand-scale living and elegant entertaining with a thoughtfully conceived chefs kitchen (2015). The great room with 13 ceilings is perfect for a night in - catching up on your favorite Netflix series or open it up to the outdoors on a playful Saturday. The sumptuous master suite boasts an enormous bath with soaking tub and walk-in shower. A library/office and three additional bedrooms provide space for loved ones. Relax by the pool terrace with covered lanai and summer kitchen (added in 2016) where its a treat to lounge by the sparkling pool and spa or grill the catch of the day as you fish off your dock. Set sail from your backyard and into the waters of Sarasota Bay which will bring you to endless tropical waterways or your favorite waterside restaurant. Youll appreciate a newer seawall, dock, and 10,000 lb lift. From this remarkable location, Sarasota's downtown or Southside Village where you can partake in shopping, dining, arts and culture. 2 year home warranty!